Pondfield Gate is a pretty detached cottage situated on the outskirts of the village of Cwmgors, six miles from the town of Ammanford in South Wales. 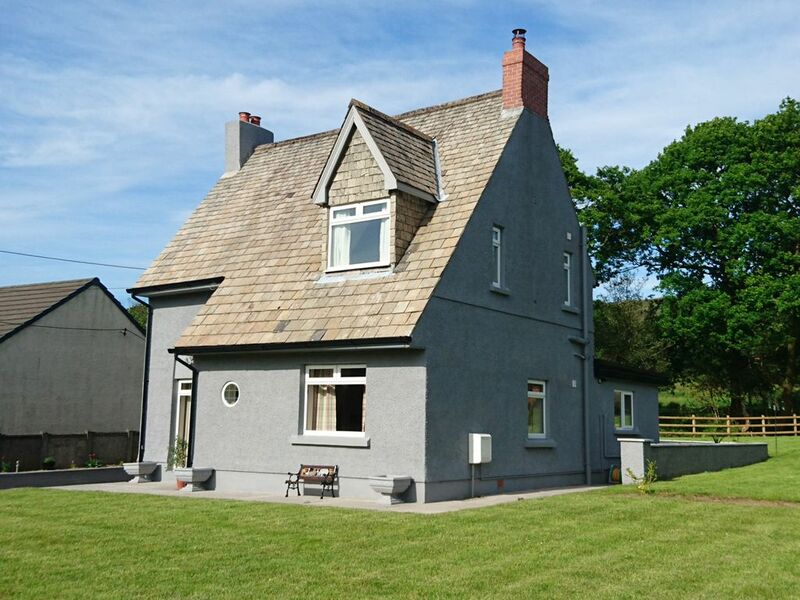 The cottage is set opposite the owner's home and can sleep four people in one king-size double and one twin bedroom (zip/link, can be super king-size double on request) and benefits from a family bathroom and a ground floor shower room. The cottage also contains a kitchen with dining area, a utility, a sitting room with woodburner, a snug with electric fire and a first floor basin and WC. To the outside there is off road parking for three cars and lawned enclosed gardens with patio furniture and barbecue with separate fire pit. Ideally located close to walks and cycle routes, Pondfield Gate would suit a family or couples wishing to explore this wonderful area. Amenities: Gas central heating with woodburner and electric fire. Range cooker with electric ovens and gas hob, microwave, fridge, fridge/freezer, washing machine, dishwasher, 2 x TVs with Freeview, DVD, CD/radio, WiFi, selection of books, games and DVDs. Fuel, power and starter pack for woodburner inc. in rent. Bed linen and towels inc. in rent. Travel cot and highchair. Off road parking for 3 cars. Bike storage. Large enclosed gardens with patio, furniture and BBQ and a separate fire pit. Sorry, no pets and no smoking. Shop and pub 1.5 miles. Note: Open brook runs along edge of garden, children to be supervised. Note: Some traffic noise may be experienced when outside. Two bedrooms: 1 x king-size double with TV, 1 x twin (zip/link, can be super king-size double on request). Bathroom with bath, shower over, basin and WC. Ground floor wet room with shower, basin and WC. First floor basin and WC. Kitchen with dining area. Utility. Sitting room with woodburner. Snug with electric fire. Gas central heating with woodburner and electric fire. Range cooker with electric ovens and gas hob, microwave, fridge, fridge/freezer, washing machine, dishwasher, 2 x TVs with Freeview, DVD, CD/radio, WiFi, selection of books, games and DVDs. Fuel, power and starter pack for woodburner inc. in rent. Bed linen and towels inc. in rent. Travel cot and highchair. Off road parking for 3 cars. Bike storage. Large enclosed gardens with patio, furniture and BBQ and a separate fire pit. Sorry, no pets and no smoking. Shop and pub 1.5 miles. Note: Open brook runs along edge of garden, children to be supervised. Note: Some traffic noise may be experienced when outside.